Parking.com offers convenient parking near the New York Transit Museum. Click on the map shown to find nearby parking and for information on rates, hours of operation, and entrances. 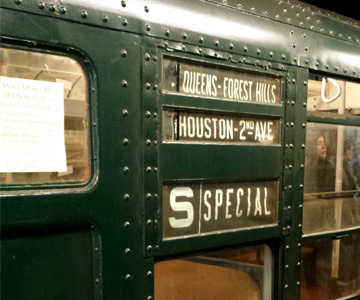 Get a glimpse of the past with a visit to the New York Transit Museum, a leading cultural institution dedicated to the city's public transportation history. Located in a historic 1936 IND subway station in Downtown Brooklyn, the Museum features photos, videos, artifacts, and vintage trains and buses.